Brown short ribs on all sides in hot oil in a skillet. Add salt, pepper, garlic powder, beef broth and onion. Simmer on low for about 4 hours or until tender. Combine flour and water and stir mixture into broth around the ribs. 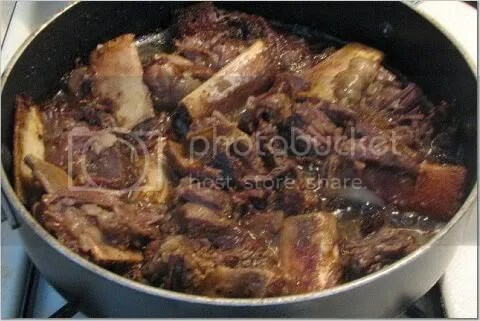 Boil for a couple of minutes and you have a gravy to serve with the short ribs.